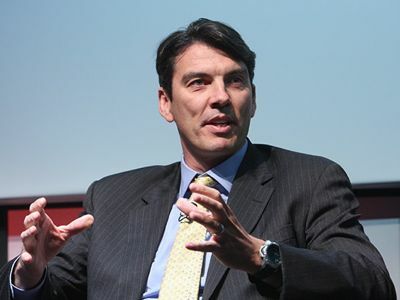 AOL CEO Tim Armstrong wants his employees to know that the company accomplished a lot in 2011 and will accomplish even more in 2012 and that’s why he sent off a 2,000-word motivational memo to his thousands of staffers on New Year’s Eve. Armstrong then eludes to the “impressive list of concrete items” the company achieved in 2012 while urging his employees to help him create and build more new productions and technologies in 2012 while increasing profitability. As expected the memo also showcases the company’s rapid expansion including its $315 million purchase of Huffington Post which has added 50-sections along with the company’s continually attempt to grow Patch.com (now with more than 850 hyper-local offerings). AOLers –I hope you all have a great New Year’s and are spending this time with family and friends. As we close 2011, I wanted to share some reflections on the year and look forward to some important themes for 2012. In 2011 we accomplished a great deal as a team and we set the company up for long-term growth in key segments of the Internet’s future. We are leaving the year a healthier and more disciplined company – and a company poised for continued improvements in 2012. During 2011, AOL touched over 250 million global consumers, millions of customers, tens of thousands of publishers, and a growing list of important partners. Our transformation has been substantial and we continued to invest in our bold strategy throughout the year. From a tangled set of brands, products, regions, and technology platforms two years ago, we now have a company that contains powerful brands, powerful products, and a simplified technology foundation that will allow us to scale in key markets. The corporate groups, which work to support our business units, also had a series of important accomplishments during the year. We were able to streamline operations and costs throughout the company. AOL continues to get more and more nimble – we are doing more with less. The technology infrastructure got many needed upgrades and new capacity built on cloud computing infrastructure. Our M&A team was able to do fantastic deals for the company, including the Huffington Post deal. Business Development was able to set up large partnerships with device, wireless, and important content partners. The finance team was successful in driving our rigorous company planning process and an improved forecasting system. The HR team consolidated the recruiting process, the review process, and the level of transparency we have on our team leaders and performance. Our legal team continues to counsel and guide us through our transformation and the re-entry into new markets. Our brand marketing continued to re-invent how AOL is perceived, as well as started the process of building a house of brands that have global appeal and consumers love. We also learned a number of important lessons during the year. The first lesson was around maintaining and accelerating a culture of high expectations. “Beat the Internet” has been an important theme in the turn-around of AOL. In 2010, we had a very strong year of organically improving our experiences. In 2011, we spent needed time on integrations and transforming our brand portfolio. In 2012, we will be back to maniacal improvements of our consumer experiences and a host of important product launches. In 2012, we must be a culture centered on the principle of Kaizen, the practice of constant improvement – and that applies to all of our products as well as all of our corporate services. The second lesson is centered on a more ruthless consistency of only operating within our strategy and giving our teams the ability to work on important projects that will accelerate our transformation. With the Top Box priorities we launched in 2011, the company was able to move key growth initiatives and say no to the projects that were not important to the long-term success of AOL. In 2012, we need to be even more disciplined, and we have room for improvement on this front. The third lesson is the need for a deeper injection of a consistent technology thread in our product development. We need a more technology-centered differentiation in all of our products. We have to avoid building products that are just incrementally getting better or trapped in the cycle of only building features for other platforms – we are not a feature company. We have to solve real human problems with our products and technology. A lesson for 2012 will be the need to shift our talent culture from one where talent changes result from brand changes to one where talent is a corporate asset that we grow within our streamlined stable of brands. I would expect us to continue to be a very attractive place for the world’s best talent and a place that our current talent will see opportunities for growth and exciting challenges. Ending 2011, we believe our stock price does not reflect what our team achieved during the year. In our opinion, the company remains undervalued, and we will eliminate the value gap by improving our operating results through the disciplined execution of our long-term strategy. Execution is the most important driver of our valuation growth, and we’re going to have another big year of improvements in 2012. We reinforced this view by executing the stock buy-back program. We enter 2012 for the first time in many years with one agenda item – to create. The word “create” defines everything we are trying to accomplish as a 21st century digital media company. We are creating world-class experiences and delivering high-value content that is rooted in the innovative spirit that defines our industry and AOL. There are some specific areas that we would like to see created and built during 2012. We want products to be created and built with a technology-centric model that is differentiated and leverages our investment in content and operational scale. We have great examples our of engineering teams’ game-changing products at AOL, but 2012 is the year we move from examples to an always-on technology process for products – including the internal tools we use as a company. As part of the focus on technology and building, we have scheduled a weekly engineering meeting with the executives where our engineers will have an open platform to show product work and ideas. Alex Gounares and I have been planning the session, and we have made it part of our executive session every Monday. We expect the engineering teams and operations teams to press the company on innovating all areas of our business. We will also be adding a deeper process around talent recruitment and talent management internally. Creating great Internet experiences for our customers starts with being a place where our people can thrive at work, where they know how their efforts contribute directly to the company’s important purpose in the world; where they can learn and grow in their careers; where they are paid for performance and have opportunities to build wealth; and where the environment supports high performance at a sustainable pace. I’ve been working closely with Chief People Officer, John Reid-Dodick, to review our people strategy to ensure we are competitive in these dimensions and that we are innovating to create opportunities for our people to learn and grow in ways that lead our industry. We will also be going deeper into our purpose and mission as a company in 2012. We are building the first branded media and technology company of this century – a mission we started in 2009 and we must drive that mission forward in 2012. To create a more meaningful purpose behind our mission we must measurably improve consumers’ lives. We need to be the brands that people rely on to make themselves smarter, wiser, healthier, sexier, faster, funnier, more connected, more interesting – and more fulfilled. As much as the digital age has disrupted many aspects of life and work, the basic tenants of what people care about endure. Our purpose will move further into touching all aspects of human lives in more human ways – online and offline. The Internet has been built by discrete segments of people and there is a big opportunity to expand the design, content, and services to some of the most meaningful groups of consumers in the world. We also want to continue to create a more profitable company in 2012. Growing healthy profits while we re-create a powerful Internet asset in AOL is our goal and it has to be the foundation of our mission and purpose. Being a very healthy company will allow us to provide more and more powerful services to our global audience. In closing out 2011, I want to thank all of you for your effort and contribution, and for the passion you bring to work every day. We have a company that is poised for growth and the external world hasn’t seen or recognized our hard work yet – they will take note during 2012. Do you think AOL will be able to turn 2012 into a profitable time for the company in which they finally figure out how to attract a full menu of premium advertisers while turning their properties into efficient news and entertainment producing machines?